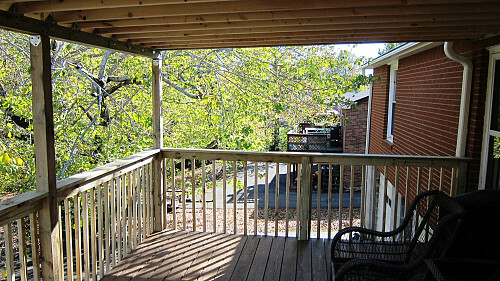 WHAT MY NETWORX CONTRACTOR DID FOR ME: Replaced my deck’s stairs and railings; added a permanent roof. WHY I CHOSE HIM: Photos of past work, online reviews. 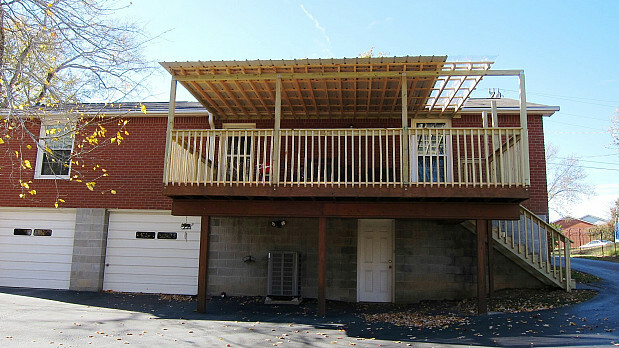 I’d been thinking about upgrading my deck for quite a while, especially getting a roof built for it. I used to have just a gazebo (one of those cloth canopy things) for a cover and it was a major pain. You had to take the canvas off the deck every winter and put it back on every spring … until I had had it up to you-know-what with doing that. So I gave the canopy away and decided to look for a permanent solution. Also, the carpenter who had originally built my deck stairs had done them all wrong. They stuck out right into the middle of the driveway, which was very awkward, as you can imagine. I searched “carpenters in my city” and got to the Networx website. I live in a suburb of Nashville and it’s very hard to find somebody who will drive those 25 miles out of town. Even on Networx, I only found 2 carpenters who work out here. I had used one of them before and was really not crazy about him, so Andrew Hopkins Company was basically my only choice. Before I hired him, I looked at his online reviews and the pictures of his work. It turns out that he lives only about 5 minutes from my house, so he didn’t have to come out all the way from Nashville. He brought a helper with him and together it only took them 2 days to do all the work, which was unbelievable! They spent one day doing demo – tearing off the old stairs and the support posts -- and the next day they got it all built. They replaced the stairs, railings, and posts and installed the new roof. Andrew had to special order the roofing material because I wanted it clear on the one section that’s over my kitchen window, but metal for the rest of it. Afterward, they hauled off all the garbage from the demo, picked up the leftover nails and screws off my driveway, and blew the leaves off the drive to make sure they got all the nails. It was really good when they were done. The deck is so much stronger now and I’ve got the permanent roof I wanted, without having to haul it on and off twice a year. I’d hire Andrew for future jobs and would recommend him to other people. My experience hiring contractors off the web before has not always been so positive. There was one fellow who actually had to be threatened before he would come back out and fix the mess he made. The best advice I can give for choosing a good contractor is to look at reviews by people who’ve used them in the past. Hardworking Handyman Brings Christmas to Southern California by Peter S.
Staining and Clear Coating to Fix up my Late Parents’ Home by Ken H.